Ever go a little too crazy during a sale at the grocery store and come home with more stuff than will fit in your fridge? That's me, every time I go to Costco or find a meat sale at Target. Meat is easy to freeze but what do you do when you buy too much of something you can't freeze … like yogurt? 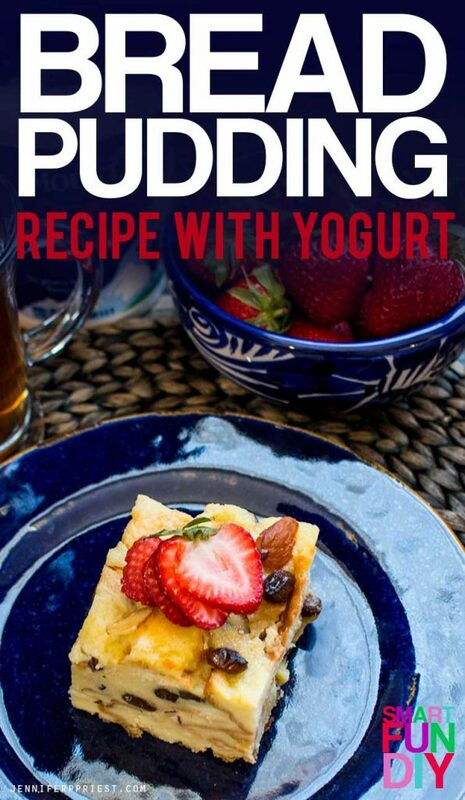 Google “recipes with yogurt”. And that might just be how you got here! We had 6 large tubs of Mountain High Yoghurt sitting in our fridge and we needed to know what to make with them before they expired. We search online for recipes and bread pudding was one that came up often. We researched bread pudding recipes and techniques to develop the most irresistible, moist, incredible bread pudding recipe ever! And to top it off, it's easy to make. So I say it is incredible because I could not keep my hands off of it. Pretty much my family had to fight me for a slice … it's delicious with coffee, tea, for breakfast, for lunch, for dinner … Don't ask me how I know! HA! Being from Southern California, we love a pop of fresh orange zest so my husband Xaver added that to the recipe. You can also add orange zest and other flavors to traditional bread pudding recipes like Capirotada. 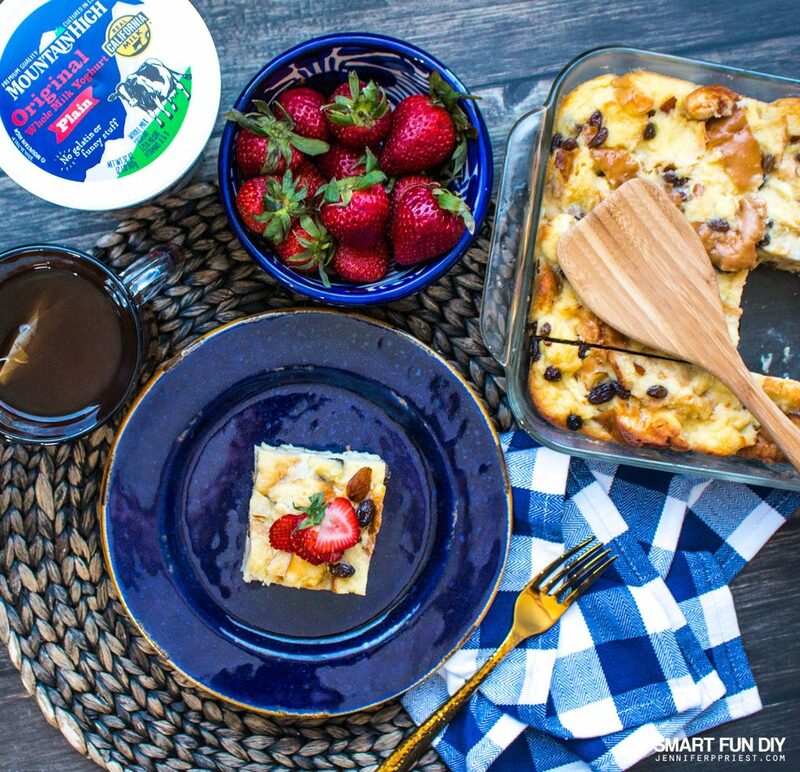 In fact, if you love capirotada, you have to check out our capirotada yogurt cups – it's a breakfast yogurt cup with all the flavors of traditional Mexican bread pudding. 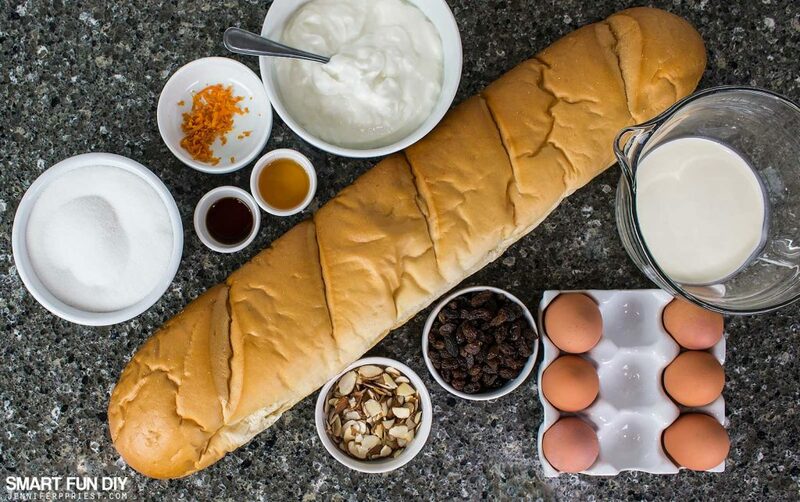 Combine the eggs, yoghurt, vanilla extract, heavy cream, Grand Marnier, sugar, and orange zest in a large bowl. Place the bread in another bowl. Pour the mixture over the bread. Stir in the almond slices and raisins. Pour into a buttered baking dish. Cover with foil and chill for up to 3 hours. Bake, with foil on, for 20 minutes. Remove foil and bake an additional 15 minutes until the top browns. Xaver really set the flavors off with a shot of Grand Marnier. 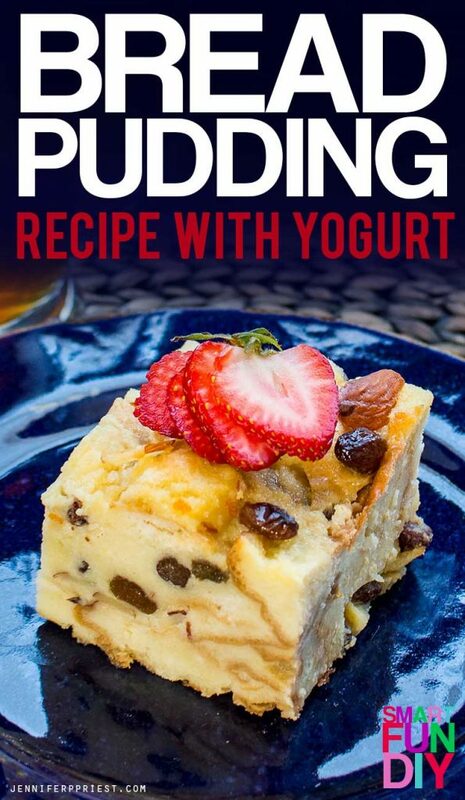 Now, this is optional but it does add to the rich taste of the bread pudding and makes for a super decadent dessert. If you like using Grand Marnier and orange zest together, you're gonna love our recipe for Orange Glazed Smoked Cornish Game Hens, perfect for holiday meals like Christmas, New Years, or even Grad Night. And shhh, don't tell anyone, but the recipe is pretty easy to make *wink wink*. 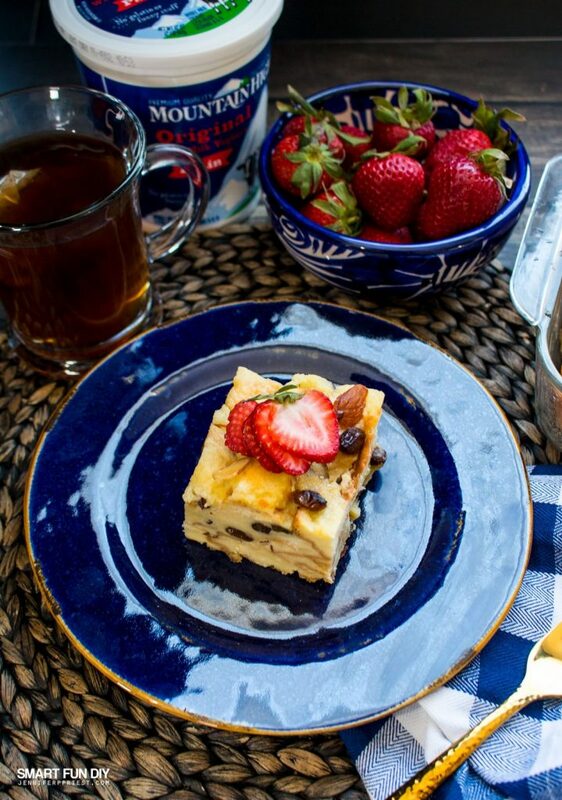 But back to the reason why you're here … that amazing bread pudding! 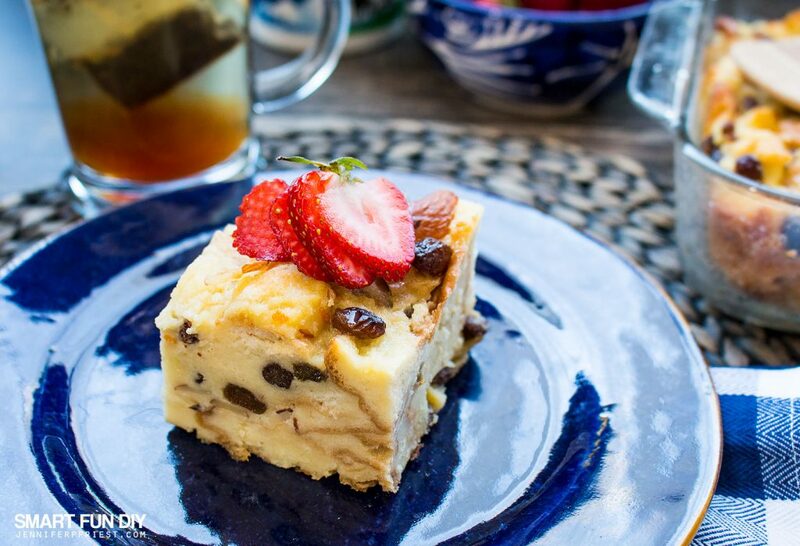 Watch this video to see how to make this bread pudding recipe from start to finish. Then click here for a printable version of this recipe. 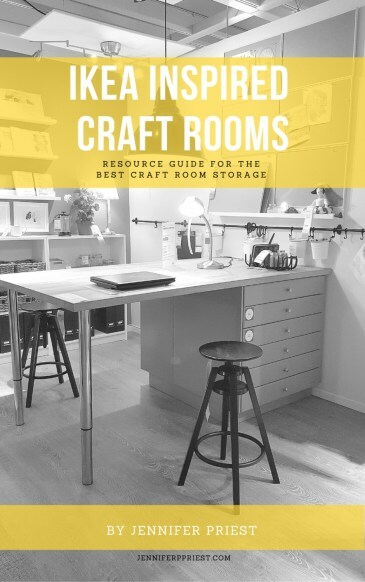 If you're like me and love a good upcycled craft idea. Save those empty yogurt tubs and cups and make DIY cake plates with them!! If you want to make an over the top tablescape or party spread, this is one way to do it on a budget. 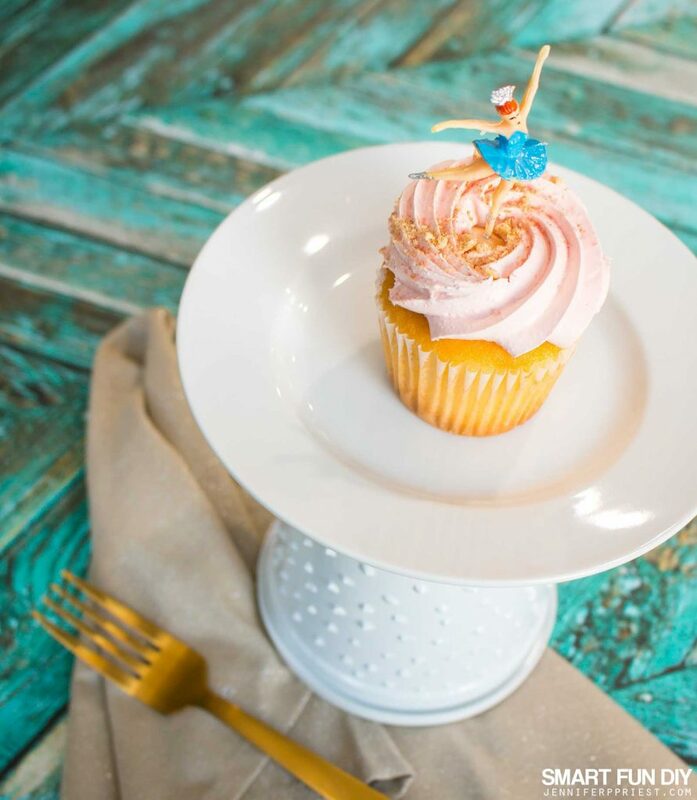 No one will even know that these cake plates are made with yogurt cups … click here to get the how-to for three different DIY cake plates with yogurt cups. 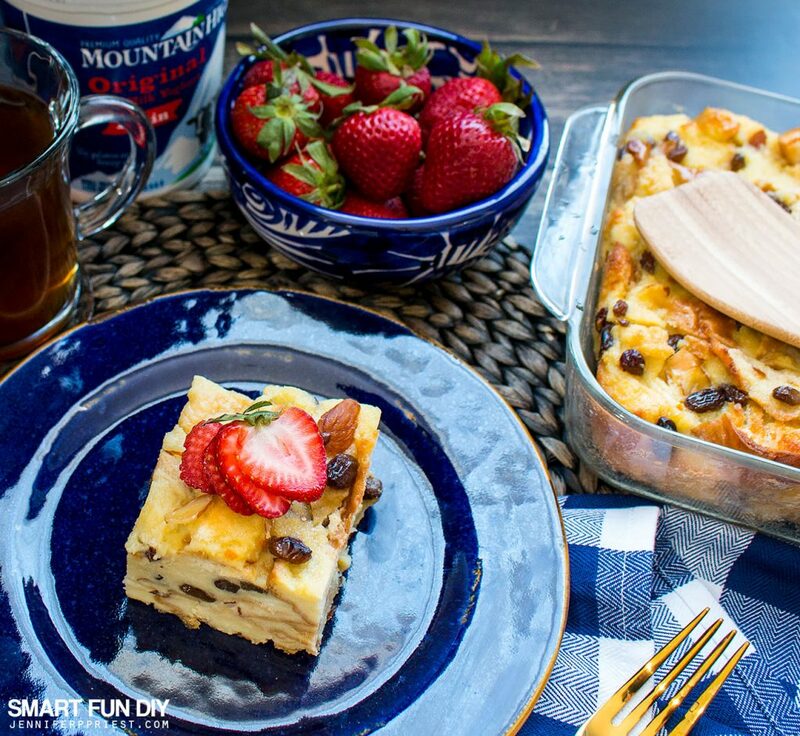 What's your favorite way to eat bread pudding – by itself, with coffee, with ice cream? Let us know in the comments!! And thank you for stopping by.